Instagram and Pinterest have been hit by the latest moon milk trend, but what exactly is it? Derived from Ayuverdic traditions, warm milk, honey and spices were used to help send you off to sleep. This tradition still lives on today! 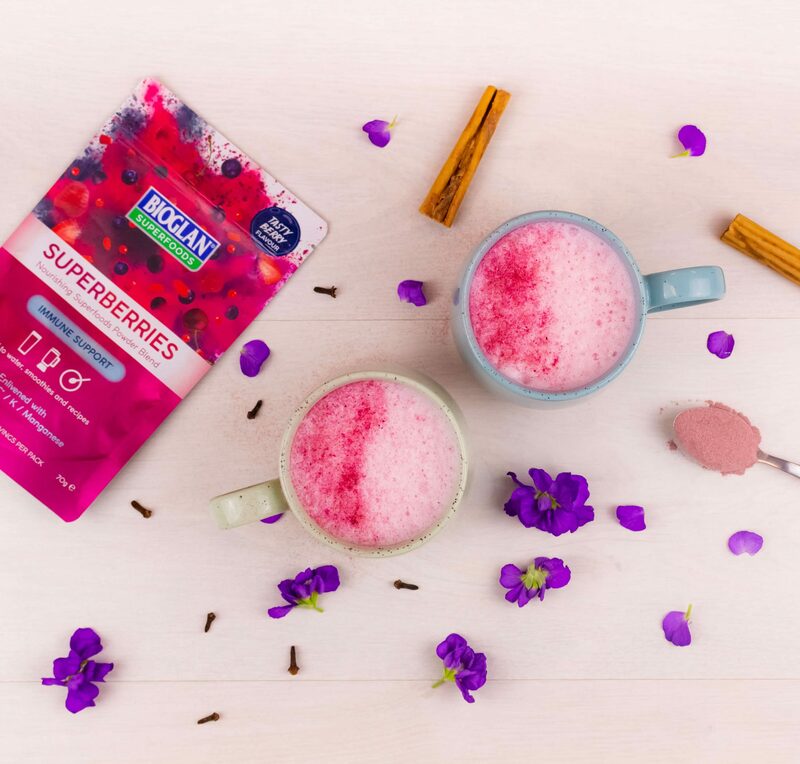 Superberries powder gives a subtle berry flavour to this version, as well as providing a source of magnesium which can help to relax muscles. Add the milk to a small saucepan and heat until it is almost at boiling point. Turn off the heat and whisk in all of your other ingredients.